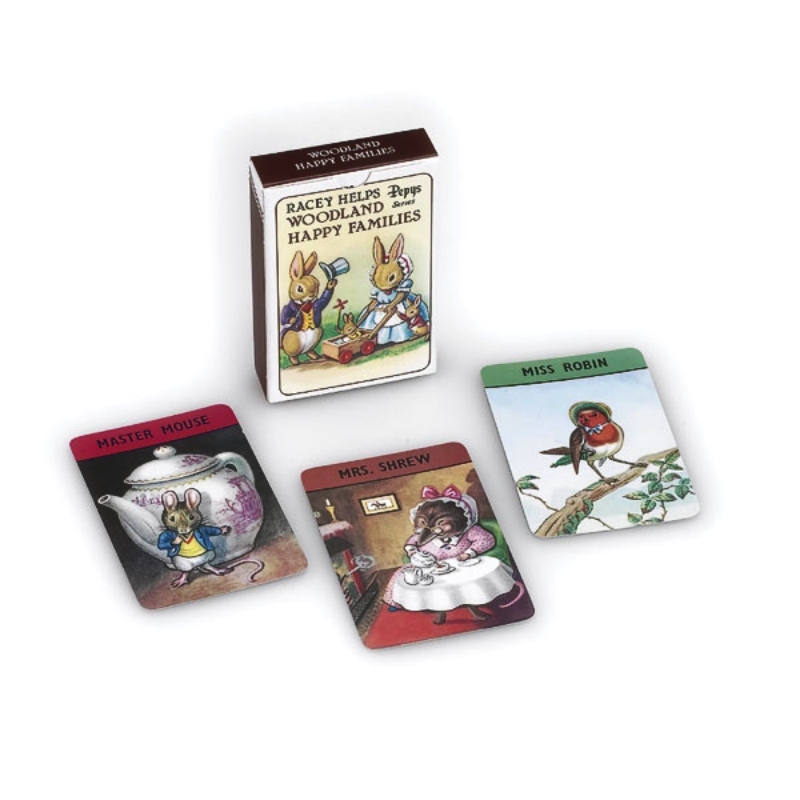 The Alice In Wonderland card game was produced as part of the Pepys Series Reprints by Gibsons in 1980, approximately a hundred years after the famous De La Rue game was first published, and featured Sir John Tenniel’s original illustrations from the books that were redrawn by Edith Thomson. 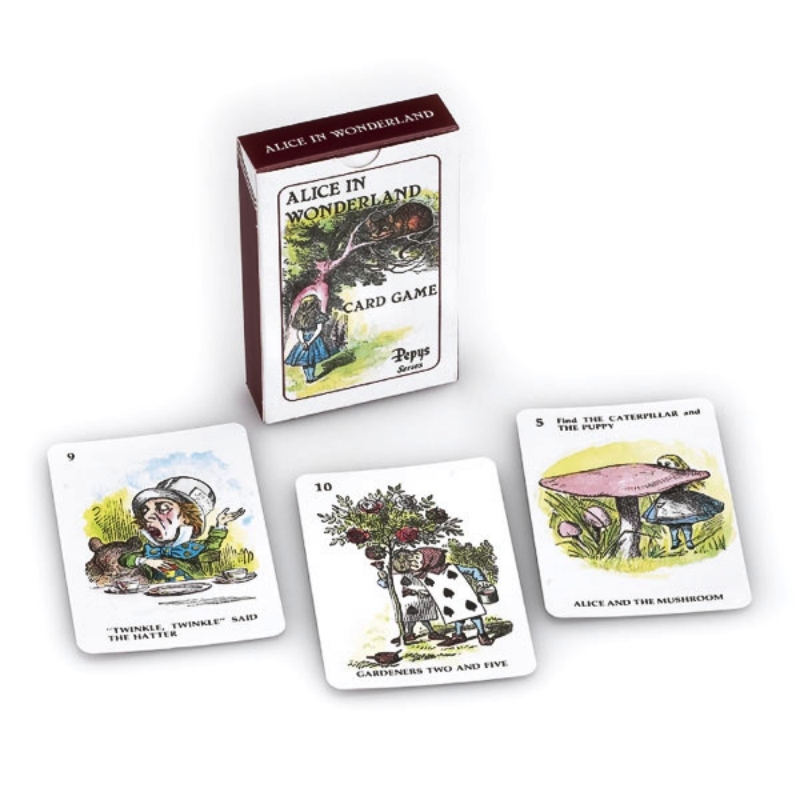 The game is for two or more people and the complete set has forty two cards plus an index card and an advertising card. 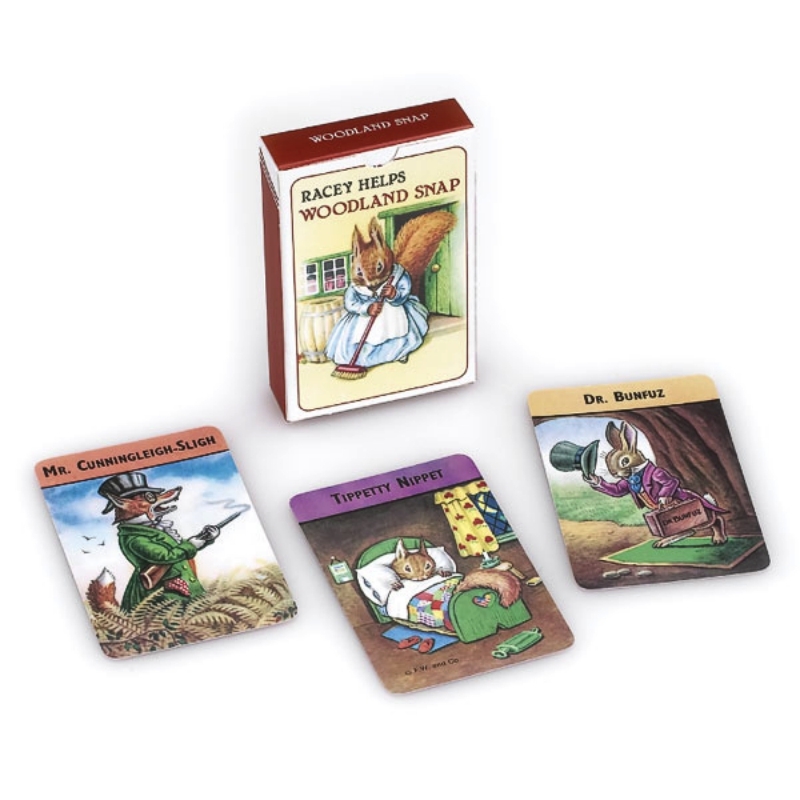 After removing the two additional cards there are fourteen sets of three cards (as in the original, one card in each set is the leading card. On its face is printed the titles of the other cards in the set). The object of the game is to complete as many sets as possible.